The basic thing to do when vacationing in Bohol, a province in the Philippines’ Central Visayas region, is to book a hotel on Panglao Island. Don’t be basic. Reserving a room at Loboc River Resort is a million times more interesting. 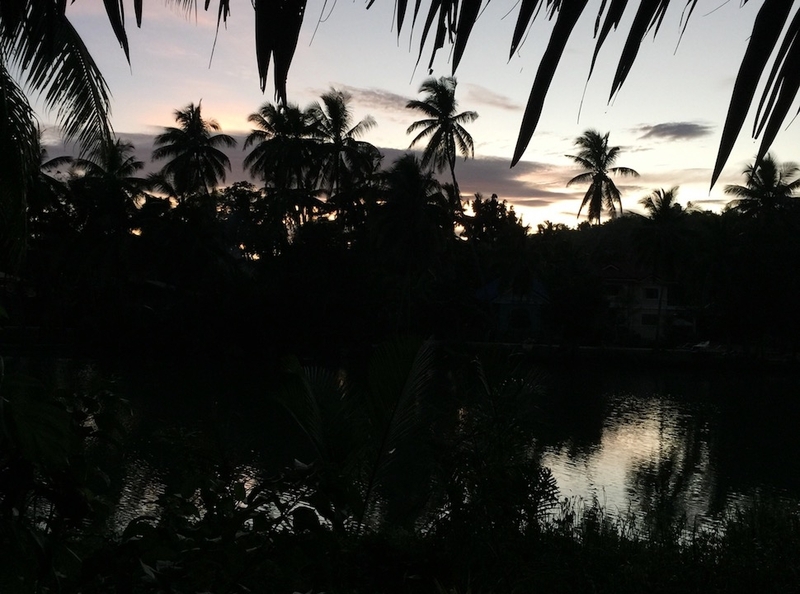 It may look far away on a map, but Loboc is an easy (paved!) drive from Tagbilaran airport. The Chocolate Hills and Philippine Tarsier Foundation are within striking distance, and Panglao’s beaches are just an hour away. 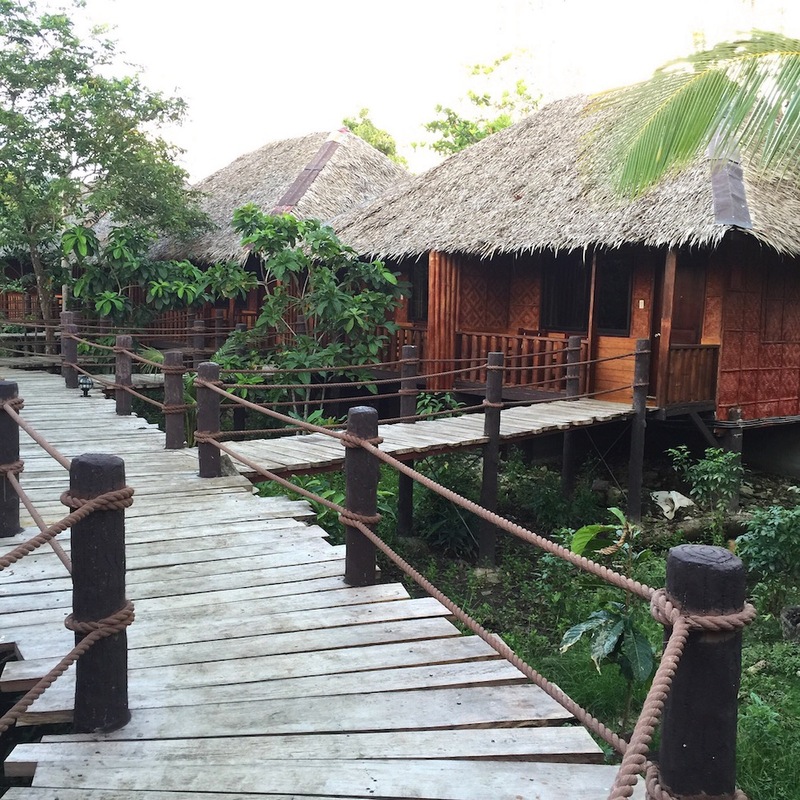 The resort’s lush jungle surrounds are ravishing in a wild, unkempt sort of way, and rooms are nestled in stilted Nipa huts interlinked by wooden bridges. Prices start at PHP 2,516 ($50 USD) and max out at PHP 5,641 ($112). It’s worth paying extra for a riverside room, as the views are better and the bungalows more private-feeling. On that note, breakfast is so-so, but the hotel’s open-air restaurant, Venia’s Kitchen, is excellent for dinner. The whole native chicken is a must, followed by turon—a caramelized, lumpia-wrapped banana with ice cream—for dessert. Stand-up paddle boarding, kayaking, and fishing are popular activities here. 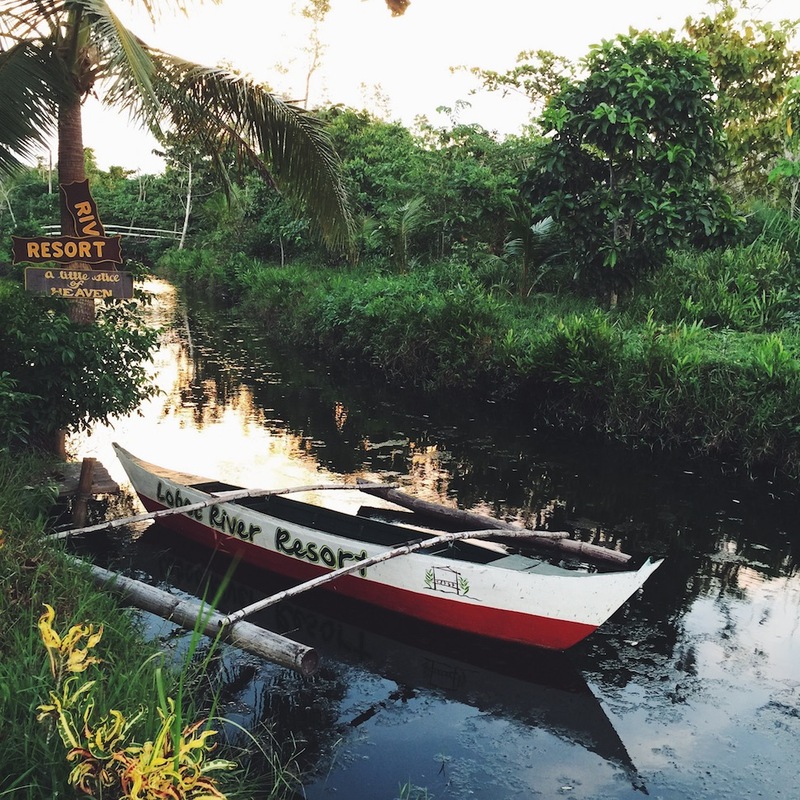 The serene Loboc River is so gentle, you hardly need experience to stay afloat. Rent a double kayak and head out for the afternoon instead of overpaying for a sad buffet on a “floating restaurant” cruise. Also not to be missed: the firefly viewing tour (PHP 600 or $12). We set off in a bangka around 10 p.m., a sky full of stars above us. Lovely as it was, the cosmos paled in comparison to the firefly habitats we soon bobbed beneath. Thousands of flashing tails lit up the nesting trees—it was totally surreal. On another day, the resort connected us to a terrific local driver named Carlos. 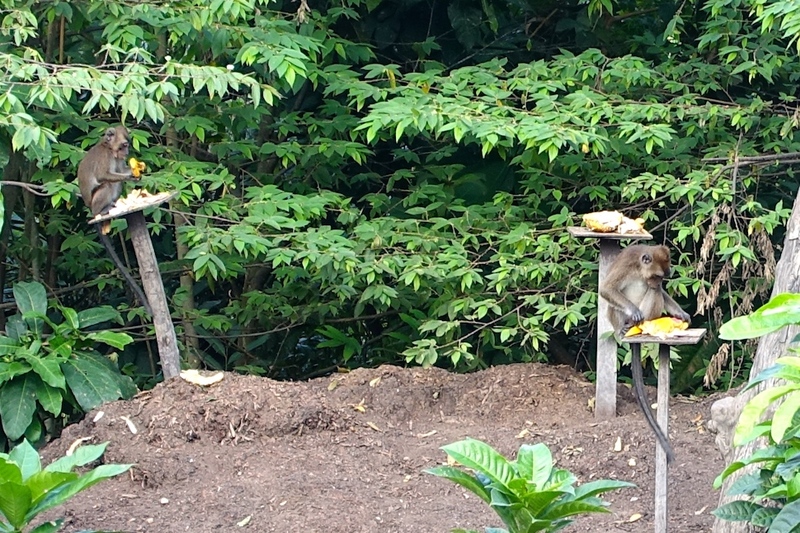 He was talkative and funny, but most importantly, he listened when we told him we were allergic to typical tourist BS. 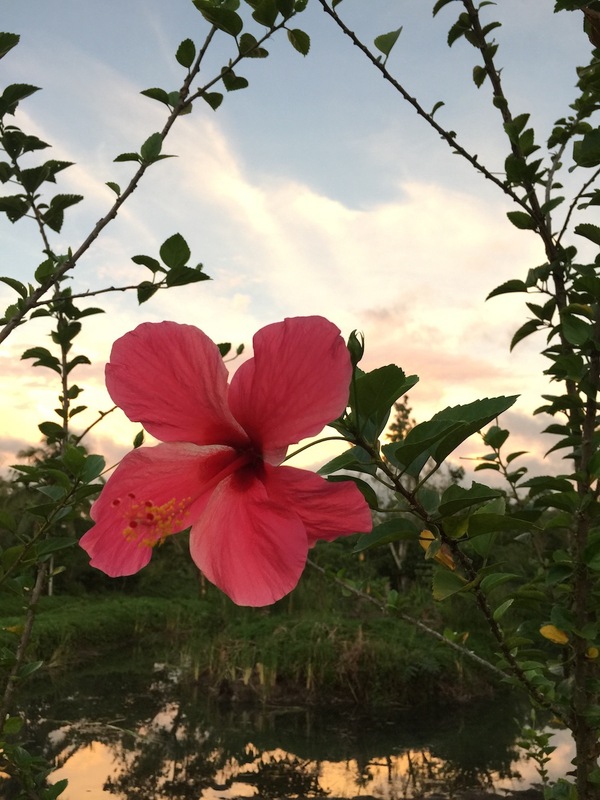 So instead of dragging us to lame snake farms, he took us to an earthquake-ravaged church, remote rice terraces, a locals-only beach where his family swims, and a shack near his house that specializes in braised water buffalo. All in all, it was a great day out on an island full of happy surprises. Camayaan Rd., Loboc, Bohol, Philippines; +63-38-416-0796.